We require 24-hours notice to cancel appointments. Otherwise, the full fee applies. Yes, we can arrange sessions via phone, Skype, or other on-line conferencing systems. Insurance applies only for Therapy sessions. Please contact us to inquire which policies we accept. Coaching and other services are not covered by insurance. What if I don’t have health insurance or my insurance doesn’t cover mental health services? We offer counseling and coaching sessions at an affordable fee for most people. Please contact us for details. Yes. We accept Visa, MasterCard, American Express, checks and cash. How long will it be before I can see a therapist, coach, mediator or financial advisor? Typically, we are able to schedule a new client the same week. We do our utmost to accommodate urgent requests for same-day or same-week appointments. Therapy is deep inner work for resolving problems such as stress, depression, anxiety, addiction, trauma, and difficulty functioning day-to-day. Therapy can focus on your past and teach you how to create a better life today. Therapy can only be conducted in the state of California. Coaching is for those who are healthy and already self-motivated. Many times coaching takes over where therapy leaves off. Coaching is for people who are already functional and want more. We offer coaching sessions in person, phone, via Skype, other on-line conferencing systems all around the world. How does one know when to seek counseling? Counseling can be instrumental when a problem you’re struggling with begins to affect one or more of the following aspects of your life: family relationships, job or school performance, and day-to-day functioning. Most individuals and couples try to solve problems on their own first; a counselor can step in to offer perspective and solution-based guidance when people do not see change on their own. Whether your problem is with marriage, divorce, or co-parenting, counseling can always be helpful. What does a counselor really have to offer? Counseling helps you heal from your past wounds and stop repeating patterns and behaviors that no longer serve you. It is also a helpful method that will help you look toward the future and see how you want to improve your life and meet your goals. 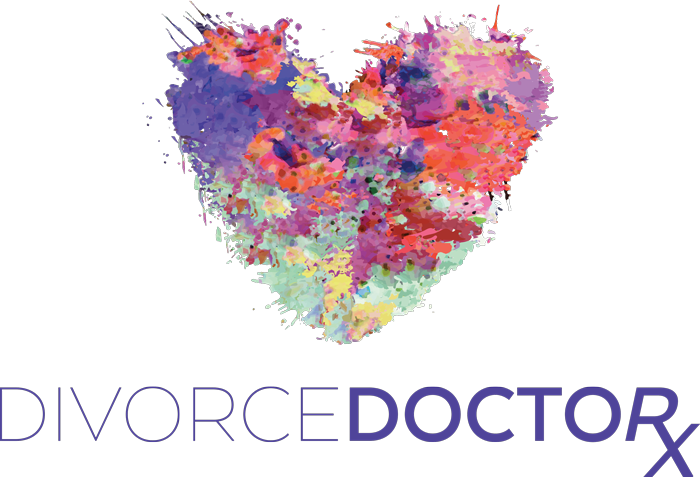 The counselors at Divorce Doctor are doctorate and masters’ level therapists with years of professional experience working with individuals, couples, families, and children. The counseling process occurs in our comfortable offices with a dedicated therapist with whom you will have regular appointments to discuss your struggles and goals. Using evidence-based methods and traditional talk therapy, your counselor’’s role is to support your journey to a better life. How are my privacy and confidentiality protected? We are dedicated to our clients’ privacy and the strict confidentiality implicit in the patient-therapist relationship. The federal HIPPA Privacy Rule (of 1996) applies. We follow this law in practice and in spirit. In a life-threatening situation, dial 911 immediately or go to the nearest emergency room. Divorce Doctor is not a crisis facility. Therapists are not appropriate resources in emergency mental health situations. My marriage seems beyond repair. Can I still save it? Every marriage is different and treated differently at Divorce Doctor. If both partners in a relationship want the marriage to work it is never too late to save it.We also believe that at times it only takes one person in the relationship to make the changes for the relationship to improve. At Divorce Doctor we have excellent couples and relationships therapists who can help you save your marriage and help you get back on the same page with one another. We help you in restructuring your communication and help you create a roadmap to better your marriage. Should my marriage be saved? "Is it worth saving?" Every marriage is different, and we believe that almost all deserve a second chance, but only through external and internal evaluation will you be able to determine what’s right for you. We believe that you should always ask yourself, “Did I do all that I can do to make this marriage work?” If the answer is no, you should give it a chance. (Note: if there is domestic violence, abuse, or severe addictions then it is most important that the person in danger take care of themselves first). My spouse doesn’t want to get counseling. Can I save my marriage alone? YES! A lot of times it takes one person in the relationship to do the changing in order for the relationship to change. There is no particular length for therapy. Most clients see definite improvement in their relationships. We find that the more committed they are, the sooner they see results. Do you treat issues about infidelity? Yes, at Divorce Doctor we frequently work with issues of infidelity. Whether there are issues of trust, or if there have been physical or emotional affairs, it is never too late to seek therapy. hen there is infidelity within a marriage it does not mean that your marriage has to be over. Many times a relationship can become stronger after an affair. Yes, at Divorce Doctor, we work with individuals and couples regardless of gender or sexual orientation. Yes. Premarital therapy can help you explore and strengthen your relationship as well as how to identify and learn to overcome your issues before you get married. Often conflict can arise in relationships before marriage. Therapy is the best place to work on these issues before making the commitment to marriage. Divorce can be confusing and stressful for children. Parents often do not realize the difficult decisions that children are faced with during a divorce. Parents can exert undue pressures and influences on children without ever intending to or even realizing it. Children usually do not express how they truly feel to parents out of fear of disappointing them. Counseling can provide a safe space for children to process their feelings during this strange transitional time. How is mediation different than going to a divorce lawyer? What is the best way to tell the children we are getting a divorce? If possible, both of you should sit down with the children to tell them. Be honest and discuss the situation at the level of your youngest child. Offer as much age-appropriate information about the reason and arrangements of the separation. It is very important to keep open communication with the children. Let them know that you are each available to speak with them individually whenever they feel a need. Be vigilant about keeping their trust. Understand that, their perspective on the world is not as mature as yours, and they need all the help and comfort you can offer. Who decides who gets custody of the children? Ideally, the decision is made between the parents, often with the help of a mediator. If parents cannot reach mutual agreement, lawyers step in and a judge usually becomes involved. In all cases, custody should be determined by what is in the best interest of the child. Best interest is determined by a number of factors including which parent has historically been the primary caretaker, the age and gender of the child, parents’ work schedule and each parent’s ability to care for the child. What is a parenting plan and a shared parenting plan? A parenting plan, often called a shared parenting plan, is a written agreement about child visitation and child custody between the parents. A parenting plan is a part of divorce proceedings and paperwork; they have the force of a court-order but can be modified if necessary. How should primary residence for the children be decided?